American Idol Judges Photo Opens The Door For Speculating About Show's Return - Are You Screening? We finally get a look at the American Idol judges. 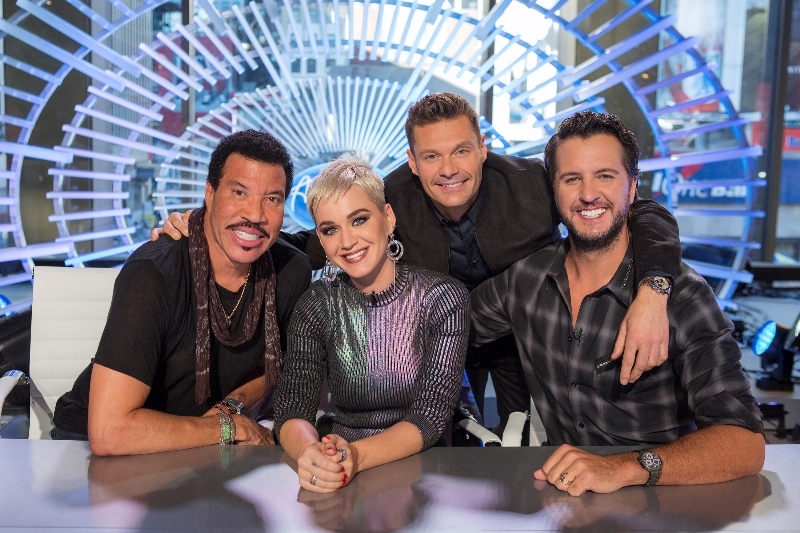 Shortly after the news hit that Lionel Richie would join Katy Perry and Luke Bryan as judges, the show released an image to make sure that you knew it was all real. While the news is, I imagine for someone, exciting, it opens the door to a new round of speculation about the show’s return. As soon as news of the bidding war on the show hit people have been wondering if the idea made any sense, and that only spawned further debate about the necessity of the variety of elements. Could the show draw crowds without Ryan Seacrest? How important will the judges be? Will any effort at the show draw audiences beyond the first few episodes? If you’re really into speculating about what’s going to happen when the show returns, you have to wonder why it left in the first place. It wasn’t that long before its demise that it seemed like it would be around forever. Why didn’t people tune in, and if we can figure that out, what will be different now? If people just got bored of the whole idea, similar shows wouldn’t be doing so well… and they are. I propose that what people got bored with was the judges, and for exactly the reason that America’s Got Talent better start paying attention. Let’s face it, little changed about the show other than the judges, and perhaps the number of obnoxious contestants year to year. So, is it possible to figure out what happened with the judges, other than specifically who they are? Was anything different about, let’s say, the first six or seven seasons that perhaps progressively got worse as time wore on? As the last two or three seasons of American Idol aired, there was one thing that absolutely marked a definite difference in the show and that was that the judges oversold the contestants to an increasingly ridiculous degree. It was always, “the best season ever,” with, “a higher caliber of talent than we’ve ever had,” and every performance was good once we got down to the last eight contestants or so. Put simply, the judges were irritatingly fake, telling America that the performances they just watched were amazing, when America was wondering what the hell they were talking about. So, are we fixing that? Will it matter with these judges? We all know that people are going to tune in for the first few episodes, and the show is going to kick off with big numbers. We all want to see the new, shiny thing, and the first episodes are where we get a look at the deluded people who have no talent. But, then what? Is Luke Bryan a draw? Is Lionel Richie? Katy Perry seems like a solid choice for enticing the demographic that might possibly tune into this show, but Lionel Richie? More importantly, is Lionel Richie going to let people have it when necessary, or are we just going to get a producer-scripted pack of judges who endlessly tell us how fantastic everyone is? I guess we’ll soon see, and auditions are underway, but if you’re betting that this is a lot of money put into something that has about ten possible episodes of solid ratings, I’m not sure I have a counterargument. Grammy- and Emmy-nominated music luminary Katy Perry, country music superstar Luke Bryan and music icon Lionel Richie, along with host and producer extraordinaire Ryan Seacrest, were on hand when ABC’s “American Idol” kicked off judge auditions in New York City this week. The three judges round out the panel for the beloved music competition series’ first season on ABC, and Ryan Seacrest returns as host. At its new home on ABC, “American Idol” will continue to be a force in the television landscape, reaching every corner of the country in its search for the next great music sensation.